Dockside Brewery is an interesting place. It feels like a tourist trap and by all means it could be. They have a good staple of beers on tap but in all honesty it is the food that shines the most here. This place reminds me of the old brewpubs of the past, but with a very high end feel. When I entered, I was quickly shown to my table with my parents in tow. We were able to get a nice table in an open atrium next to the water. The views were spectacular and since I was treating my parents to a birthday dinner, I was happy the view was nice. The sun shining in our faces wasn’t great but that really can’t be helped. Since Dockside is a slightly higher end restaurant, the menu was very complete. I got the Pilsner Battered Fish and Chips and it was delicious. 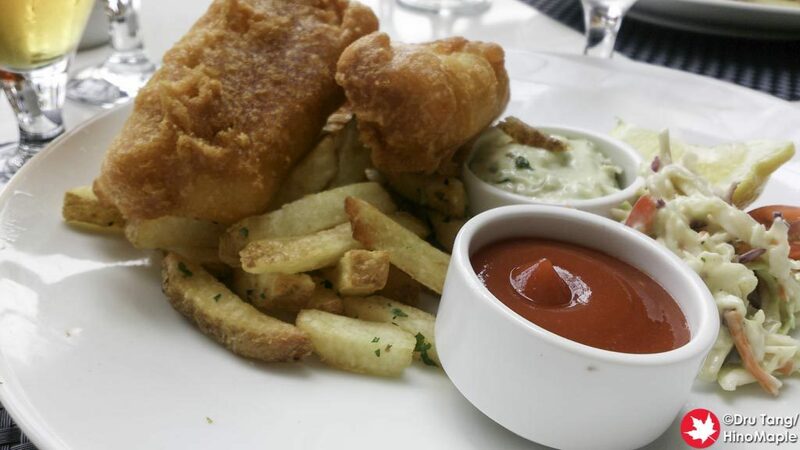 You really can’t go wrong with fish and chips in Vancouver, or any other major coastal city, but the fact it was a beer battered version made it better. It wasn’t my favourite Fish and Chips in Vancouver but it was still good. The beer is where things don’t work as well. The beers were very well made and the taste was good too. I only had the Railspur IPA and while it was good it wasn’t the best that I had. 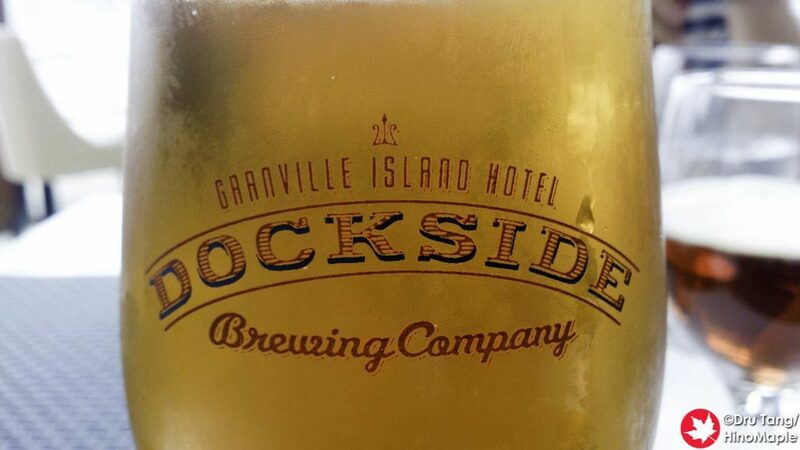 As I said, it appears that Dockside is more of a restaurant than a brewery and while the quality of the beer is still good, the bold flavours that other breweries in Vancouver have is not present at Dockside. It is a delicate balance and for what they are doing they are doing a great job, but it just isn’t my thing. 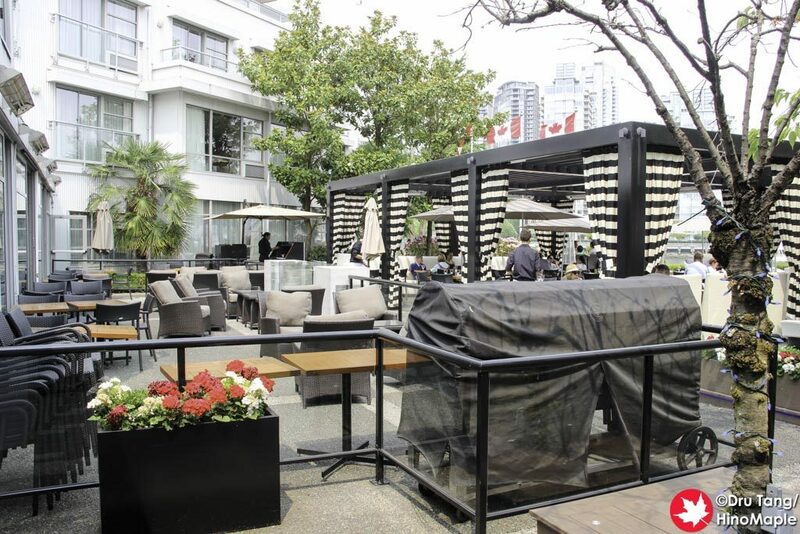 I won’t hesitate to recommend Dockside to people, especially if they are visiting Vancouver. If you want a great lunch with a great view, you should go there. The food is delicious and the beer is good too. When I arrived, there was a Japanese tour group of 20 people just finishing their meal so it must be popular. The west coast food is delicious and right after you can head to Granville Island Brewing to get more interesting beers. 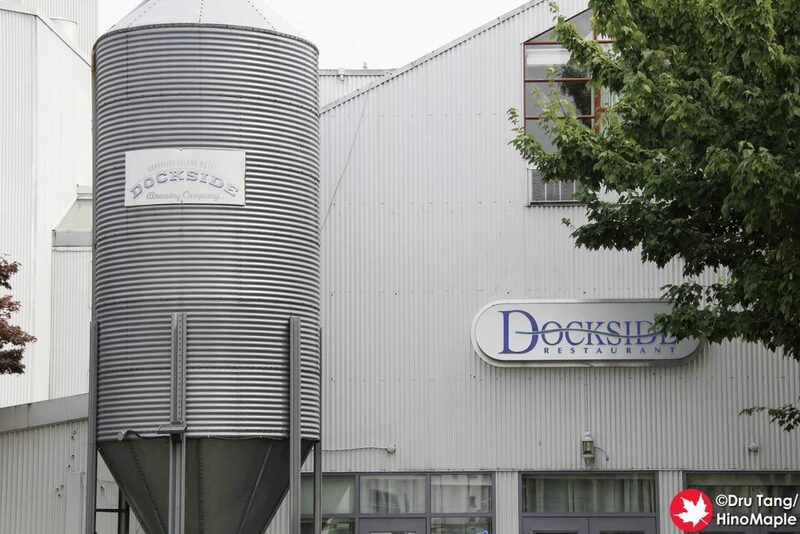 If you need a good standard, or want to impress people, Dockside is a great place to go and you won’t be let down. If you are a beer snob, you need to understand that they probably won’t have what you want, but they will still have a good product. This entry was posted in Canada Food and tagged beer, canada, craft beer, Dockside, Dockside Brewery, Granville Island, vancouver by Dru. Bookmark the permalink.